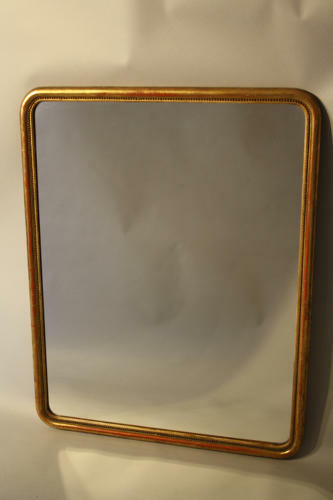 A narrow smooth and beaded gold leaf mirror with original glass plate. Can be hung portrait or landscape. In lovely condition. French c1900.